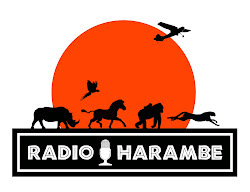 It's time for a new episode of Radio Harambe! On today's show we have a trip report from Safari Mike's last excursion to Walt Disney World. But in true Radio Harambe fashion, he presents the "Good, the Bad, the Ugly and the New" from his trip. If you have any questions or comments about the show, please feel free to email us at jamboeveryone@gmail.com. Asante Sana and enjoy the show!